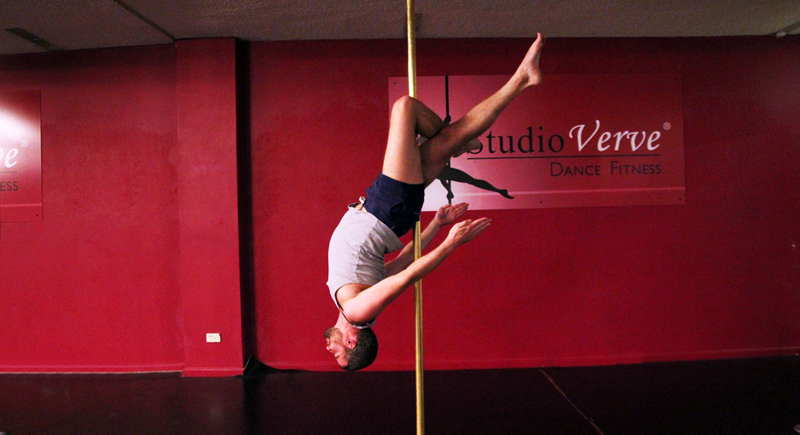 I got involved in pole through a friend who had been doing it for a few years. I had never considered it before but he sang its praises and convinced me and my boyfriend to give it a try. I loved it right from the start and have kept up with it ever since. There is always a new move and a new challenge to try out. There is always variety in the classes and it's fun even when you are struggling with a particular move. I have never been particularly confident with dance or anything graceful, so for me it has been great to do something that combines both dancing and fitness, which helps to make me feel a little less awkward! I know it is the cliche but I have to say it - confident! I know a lot of people think that pole is overly sexual, but it has never been that way for me. It is more about strength and grace. Mostly they are mildly exasperated that I talk about it so much and keep showing off videos and photos. 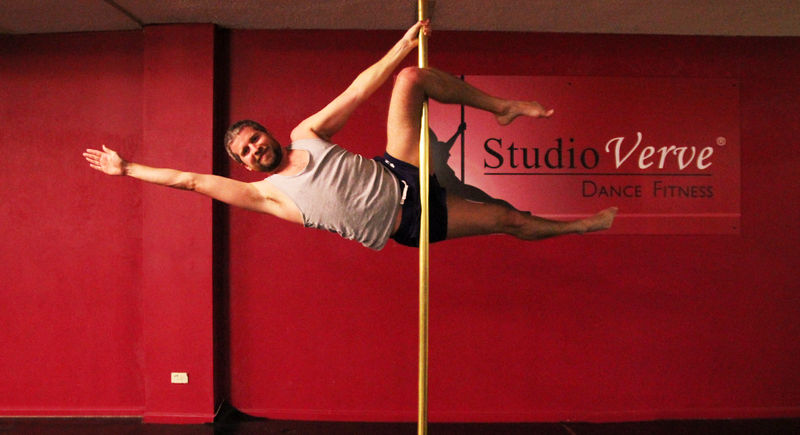 But my fitness has noticeably improved since I started pole. I would like to perform at an open night later in the year as I am keen to do more routines rather than just learning the moves. I have no plans to stop! I think I will keep doing it as long as there are new challenges to keep striving for. I love coming to Studio Verve primarily because of the great attitude of all the instructors. They make it heaps of fun but are constantly challenging you to improve. It is not just physically tough, it also takes a lot of concentration and focus, so when you finally pull of a move or combo, the feeling of reward is even higher. For me it has always been flexibility. I have improved a lot, but have a long way to go! ​​Who do you think would benefit from pole dancing? Anyone looking for a fun way to stay fit that gives you a sense of achievement!